Until I met my wife I’d never been west of the Mississippi. Or even Ohio for that matter. Together we’ve traveled, in a fashion broken by years, from coast-to-coast and even overseas. Nothing in my life had prepared me for seeing the American West. No, I’ve not seen cowboys, but the landforms are so different from the weathered, ancient Appalachians among which I grew up. 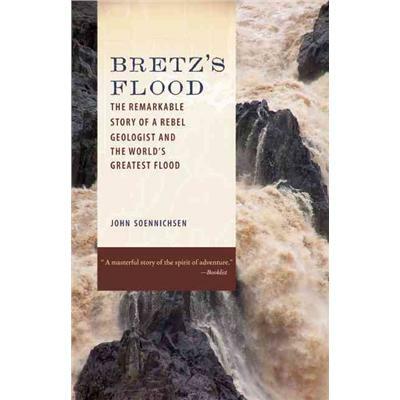 Eastern Washington is a fascinating landscape and with my occasional flirting with geology, I recently read John Soennichsen’s Bretz’s Flood: The Remarkable Story of a Rebel Geologist and the World’s Greatest Flood. Within the last couple of years I’d read about Glacial Lake Missoula, a juggernaut of an ice age lake that had flooded parts of Idaho and Washington thousands of years ago when its ice dam gave way. J Harlen Bretz was a turn-of-the-(previous)-century geologist who defied convention and insisted that the evidence of eastern Washington proved that a massive flood washed over the area, giving distinct shape to the region that empties into the Columbia River basin. For much of his career he was ridiculed by other geologists. The reason? The Bible. Geology was the science that gave Darwin the idea for his evolutionary theory. 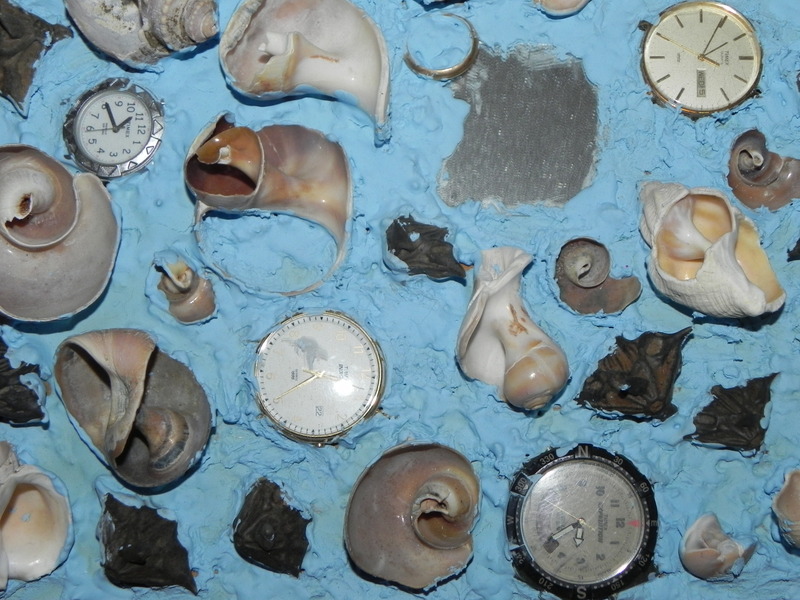 The factor that had been missing from science, before geology, was time. The 6000-year-old earth just wasn’t old enough to account for the slow changes required for one species to morph into another. As scientists came to realize that billions of years were available, it became clear that change occurred even more slowly than the GOP is happy with. For geologists, anything that happened quickly was anathema. As Bretz’s Flood makes clear, a sudden flood sounded far too much like old Noah to be science. Catastrophism had been cleanly rejected by geologists because even if the evidence supported it, it looked like a return to mythology and superstition. Interestingly Bretz began his academic life among the Methodists of Albion College, and continued to quote the Bible to his last days. He was, however, an atheist. The Bible has shaped our culture more thoroughly than Noah’s putative flood has shaped geology. I’ve read many geological studies over the years and any that are written for non-specialists never mention great floods without at least a nod to Noah. In fact, as Soennichsen points out, Bretz has ironically become a hero of Creationists who see the Missoula flood as Noah’s event. A large portion of Bretz’s career, however, was dogged by geologists duty-bound to deny a sudden flood just because the Bible tells us so. Sudden events are smeared with the residue of the divine. J Harlen Bretz is hardly a household name, but his career is a microcosm of American culture. Glacial Lake Missoula did exist, as geologists now accept, and long before Noah was a twinkle in Moses’ eye. When the dam burst, the fable did fall, and down came the ark, Noah and all. Religion is a lucrative business. There is likely a deep, evolutionary urge for fair play nestled somewhere in primate DNA. Monkeys and apes seem concerned about it, and certainly nothing gets people more upset than a cheater who does prosper (unless he, less often she, is the protagonist of some gangster movie). Most of us work pretty hard to make a living, often doing tasks that push us beyond our comfort range in order to ensure some kind of success. The same is true of clergy. Yes, stories of lazy or lackadaisical ministers abound, but many work long hours under often stressful conditions. Most are not paid very well. Their eyes, according to unwritten writ, are turned toward a larger prize. In an economy that has become a nearly universal capitalism, everything has a price. People want to feel that they are pleasing God but there are oh so many rules and regulations! The Hebrew Bible alone has 613, and then add the Christian Scriptures and two millennia of ecclesiological dogmatism and you’ve got one hefty bill. We don’t mind paying a bit of that for a religious specialist to take care of the details while we get on with the real business of life. Now add a little math. How many people does it take to add up to a small fortune? Already by the Middle Ages the Catholic Church, really the only show in town across Europe, had amassed a real treasury. Although individually the clergy could claim to own nothing, collectively they were flush. Even today the wealth (and therefore power) of the Vatican is nearly beyond comprehension. A colleague recently pointed me to a story I had missed back in April. This involved the computer age and lucre in an unexpected place. Russian Orthodox Patriarch Kirill I was photographed sitting at a high-gloss table, wearing a Breguet watch valued at $30,000. There was an outcry. The Russian Church, long under the pressure of a communist state, could hardly be described as opulent. Well, liturgical vestments and accouterments are expected to be costly, but personal items such as watches, are expected to be modest. Thirty-thousand dollars is a lot of money to be reminded of when to show up for mass. In response, some church leaders turned to technology for a solution. The watch was Photoshopped out of the picture and, as if a miracle, the scandal disappeared! Except they forgot the glossy tabletop—the reflection of the watch, like Dorian Gray’s portrait, remained as evidence. (The story may be found here, along with the damning photos, if you can stand the snarky writing.) Owning such a watch may be considered bad form among the humble clergy, hiding it, however, is even worse. I don’t mean to single out Patriarch Kirill—the Russians have had a pretty rough go of it, what with Stalin and Reagan and all—but religions seldom like to have their coffers examined. The laity will pay handsomely to avoid the extra work salvation demands. Herein lies the rub: salvation has become less tangible as material wealth has expanded. Many people have mistaken one for the other. It’s just that they don’t want to get caught enjoying a little too much of the one at the expense of the other. You are an apostate, or worse. Unless, that is, you belong to the relatively select religion known as Jehovah’s Witnesses. Having grown up in a town bereft of Witnesses, my first exposure came as the result of an American Religions course. Grove City, Pennsylvania was not an ideal locale to experience religious diversity, outside the Protestant Neapolitan flavor. When we had to visit a religious service outside that milieu, I joined some classmates for a trip to the local Kingdom Hall. There are few situations as uncomfortable as watching other people being religious. It is so intimate. When Watchtower study began, my classmates and I, good Christians all, were shocked to hear even a young child answer one of the questions put by the leader with “the Christian apostates!” She was quite enthusiastic. If you were not a Witness you were an apostate. 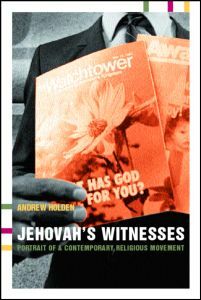 Since that time, Witnesses have been no strangers to my door, so I read Andrew Holden’s Jehovah’s Witnesses: Portrait of a Contemporary Religious Movement (Routledge, 2002) with interest. Holden is a sociologist who undertakes an analysis of the ascetic, millenarian group in a conflicted situation. Modern society proves quite difficult to reconcile with Witnesses’ authoritarian biblical literalism. The assertion, now quietly overlooked, that the world did not end on cue has proved an embarrassment more than once. Most recently Armageddon was scheduled for a 1975 time slot, but this stubborn, old world just keeps limping along. In many ways, it is a sad tale. Witnesses advocate clean living and fair dealing, but if you’re not part of the club you are a danger to those who are. Non-monastic, they nevertheless shut themselves off from much that the world has to offer. Holden’s study is a model of fair-minded analysis. He is not out to humiliate or insult the Witnesses or their lifestyle. He remains true to the evidence (but not the doctrine) and offers a rare, objective look at a New Religious Movement. Distinguished as one of the few religions to have started in Pittsburgh (the city that also gave us the cinematic zombie), Witnesses are now a six-million strong, worldwide religion. While Holden gives only a cursory glimpse of their doctrine, he does offer a rare view into an exclusive faith struggling for the end of a pluralistic world. It is a study well worth reading. Especially for an apostate. So I decided to visit a Halloween store. These have been showing up with metronomic regularity in September for several years now and are usually good for a cheap thrill. My personal preference for Halloween is more somber than garish, but the affirmation that other people enjoy a safe scare has a way of drawing me in. Those who read this blog on a regular basis know that I frequently point out commonalities between fear and religion. They both seem to hover around the same orbit in the brain, and, in some accidentals are very similar. Horror films therefore often indulge in religious imagery, and monsters do not infrequently partake of the divine. So it is no surprise to see my thesis borne out in shops intending to capitalize on fear. I will freely admit that there may be cultural references that I’m missing here. A movie that I’ve neglected, or some television show or graphic novel may be informing some of the images in ways I can’t comprehend. Nevertheless, we all know of the power of the crucifix when it comes to vampires. I wasn’t aware that the cross had horrific effects on other species of monsters as well. Take this guy here. I’m not sure what he’s supposed to be—perhaps a zombie? It seems a little too corporeal to be a demon. The teeth just don’t look right for a vampire. In any case, he seems to have an extreme reaction to religion, with the cross melting right into his skull. Is there a conversion message hidden here somewhere? Of course it could be just a chinzy attempt to scare a real religiophobe. The cross has become the backup weapon against all supernatural evil. 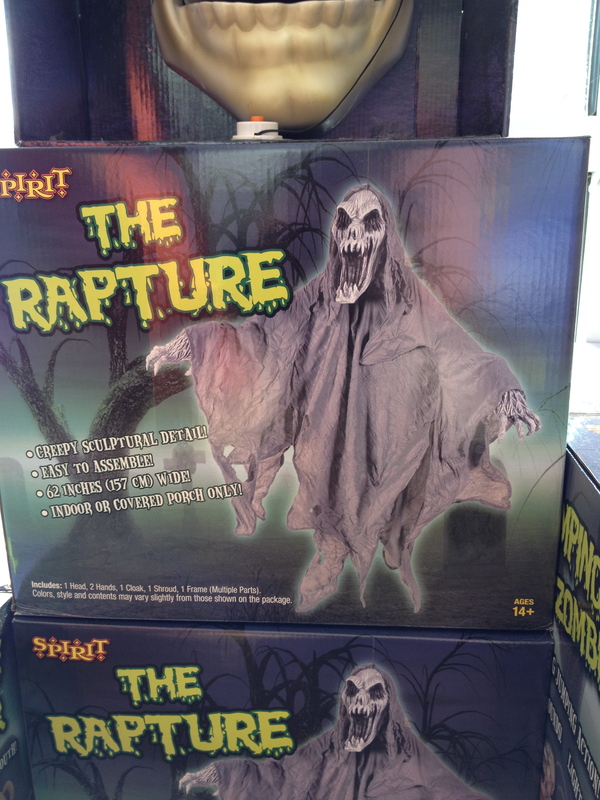 The use of a grim-reaperish ghoul rising from the grave to illustrate The Rapture was a new one on me. Last I heard only the squeaky clean and friends of the Tea Party got to go on the Rapture. (Well, the latter category might explain it.) The idea of the Rapture, as it was fabricated late in the nineteenth century, involved the chance for all the good Christians to escape before things really got rough down here for us normal folk. I would’ve thought that scary guys like this joining the heavenly crusade might take a little bit of the joy out of the occasion. Or maybe they’re being left here to haunt the rest of us. 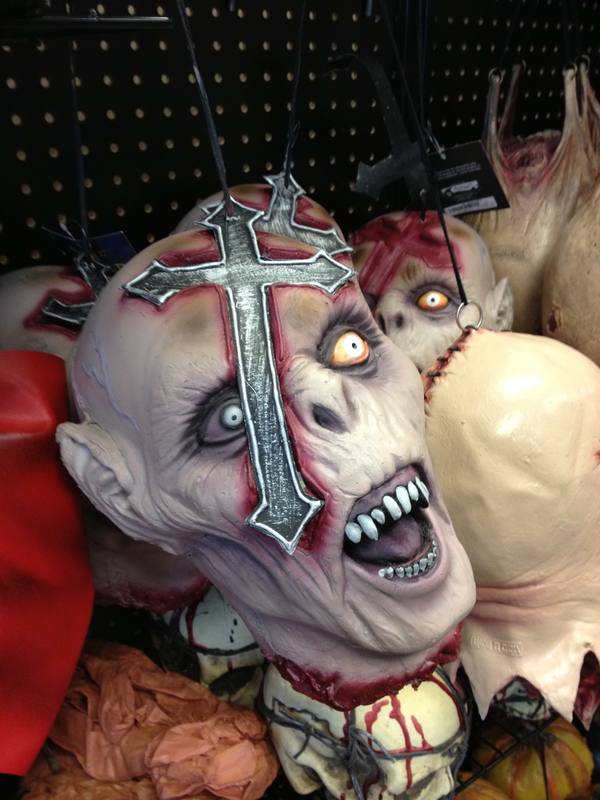 In either case it is clear that consumers respond to religious sounding language and symbolism when looking for a scare. Obviously there is plenty in the store with no religious significance at all, but finding hints of religion scattered in with the plastic scares does show a kind of Frankenstein’s monster of human sentiments and emotions. It’s only appropriate when the nights are now longer than the days. Swamplandia! is a novel ensconced in the reality of death. It is one of those books that I knew I would need to read as soon as I heard about it. Alligator wrestlers, ghosts, and even a biblical-sounding Leviathan theme park based on hellish imagery create an eerie, almost supernatural feel to the narrative. At the same time, it is a very human story of loss, assimilation, growing up, and more loss that might be gain. I’ve read many novels where the characters and events faded relatively rapidly after I closed the back cover. The cast of Karen Russell’s Swamplandia! has stayed with me, wraith-like, for several days. As I’ve tried to work out why the story sticks so close at hand, and I think it may be because so many of the characters—the entire protagonistic family—are outsiders. 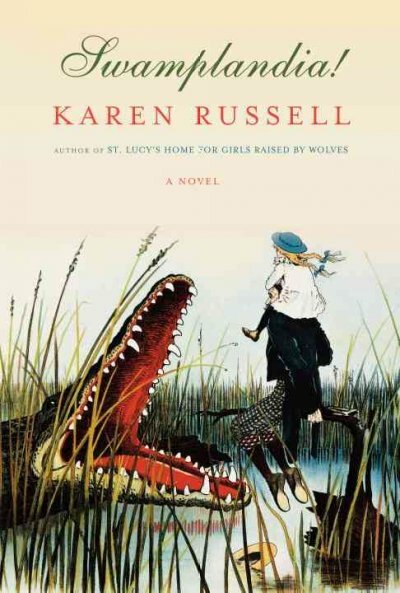 The loss of the mother spirals a carefree, largely off-the-grid family in a Floridian swamp into a forced confrontation with the mainland. In these times of economic hardship, the loss of a dream is something too many people can understand. I certainly can. Death, in whatever form it may appear, is a religious issue because it deals with ultimates. Paul Tillich, a theologian of the last century, famously declared that God was that on which a person staked their ultimate concern. For many people today, by this rough definition, death has become a kind of god. In the ancient world s/he was literally so. Of course, death is entirely natural. Consciousness is the factor that makes it seem foreboding and dreary. Swamplandia! deftly ties death and love, hope, and a kind of diminished redemption together in a tale where a young girl travels through an unlikely underworld to rescue a sister who saved her own life by her doubt. It may not be the most profound novel, but it is certainly a moody one. On my campus visits I’m increasingly hearing that novels are favored by some instructors to get at deep truths that textbooks miss. Indeed, the analytical urge is strong, but not omnipotent. Sometimes the truth can best be experienced by letting yourself go and just feeling what is happening rather than thinking it through. Swamplandia! does a bit of that. Thinking back over my own long, academic tenure, I realize that the teachers I enjoyed most were those who had me read what were, at the time, unexpected things. In a world where education has become nothing but job training to produce satisfied cogs in the corporate machine, death as a character in our own stories can’t be far from the truth. Sometimes even alligators and ghosts aren’t the scariest features of our non-fictional landscape. Thumbing through last week’s Time, I found a Bible. Actually, stories of religious interest appear frequently in Time, but this was one of those small blurbs of human interest. It appears that Elvis Presley’s Bible just sold for $94,600 in the UK. 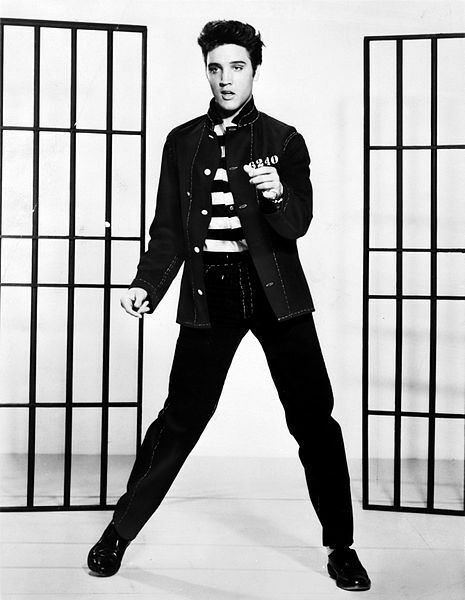 Of course, Elvis was known for his gospel recordings as well as his formative role in rock-n-roll. A boy from the south in those days would have known his Bible. What struck me as worthy of comment is the reason the artifact was priced so high—not because it is a religious book, or the putatively divine content, but because of who once owned it. The Bible is a common enough item—billions have been printed—and in our world of value based on rarity, it is hardly a specialty item. In fact, they are often given away. We have all felt the draw of fame now and again. We wonder what the lives of the rich and famous are like. Sotheby’s and Christie’s thrive on people wanting to possess articles from their deceased heroes. Studies have been conducted to demonstrate just how much laundering devalues clothes worn by both the famous (bad) and infamous (good). In the case of a Bible, perhaps one is put in touch with the spiritual residue of the owner. According to Time, Presley scribbled many notes in his Bible. Perhaps there is some eternal message there? A message untainted by years of study. A message from Graceland. Elvis Presley was not acclaimed for his great intellect. He had a singing voice and swinging hips that changed an entire culture, but his was not the world of the library and study. Naturally it is the more flamboyant that capture the imagination of the largest numbers. I can imagine the (a) Bible of Rudolf Bultmann, Charles Briggs, or William F. Albright on the auction block. There would be a flurry among some scholars, for sure, perhaps to pool their money enough to make a bid some order of magnitude less than Presley’s sequined presence of the auction table demands. Probably it would not even be worth the effort of the auctioneer. After all, no matter what doggerel he might have scribbled in the margins, the King always outranks the mere pawns. Nothing accompanies the slow decent into winter like scary movies. Now that autumn is officially here, it is time to look for the religious motifs in frightening movies again. Perhaps it is time to join Netflicks, because when it comes to my own movies I have mainly choices among bargain basement films I’ve picked up over the years. Over the weekend I watched one of them. John Carpenter’s Prince of Darkness is the second of his apocalyptic-themed movies, following on the remarkably creepy The Thing. (This is one of the few remakes that manages to outdo the original in just about every way.) 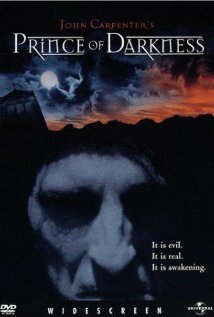 Prince of Darkness, however falters almost from the beginning. I do appreciate a movie that is straightforward about using religion as the source of fear, and one that even has a character who is a graduate student in theology! Apart from the priest and street people, all the ill-fated characters are academics—professors and grad students of theoretical physics, the sciences, and our one, lone theologian. The plot revolves, literally, around a swirling green liquid in a decrepit church, which is the Anti-Christ. Although the trappings are all here for a truly frightening experience, Christianity doesn’t really lend itself to a frightening mythology. To get to something truly tremendous, Prince of Darkness posits a kind of gnostic anti-God who is the father of Satan. The persona is evil writ so large that it is simply not believable that a corroded screw-top jar is able to contain him. For anyone who’s studied history or anthropology, placing the date of the Ball Mason jar back seven million years ago sounds like random guesswork. Homo sapiens sapiens weren’t even around then, making one wonder why God thought of a jar to trap the viscous Anti-Christ millions of years before the “fall” necessitated a regular Christ. The Bible appears, in transmogrified form, as an ancient book of spells that when translated sound suspiciously like the good old King James. The movie does have its creepy moments—abandoned churches are scary; even fully functional ones can be remarkably spooky at night. It is difficult to accept that a priest would go to a physics professor before consulting his bishop, but then we have to prevent this movie from becoming just a watered-down Exorcist flick. Having Alice Cooper appear as the leader of the homeless minions was a nice touch, in any case. Since we are all still here, the movie ends predictably enough, with Satan’s Dad being stopped before entering the world. It does, in a de rigueur metanarrative, involve a self-sacrifice, albeit not a virginal one. And for the surviving handful of academics, life goes on as normal the morning after. Perhaps evil was blown too large to be believable here. Enough human-sized diabolism exists to frighten any reasonable person. And autumn is only just starting.